I had leftover corn, black bean salad, but not quite enough for a side. I cooked brown rice in the crock pot over night and mixed it in to make a yummy salad. 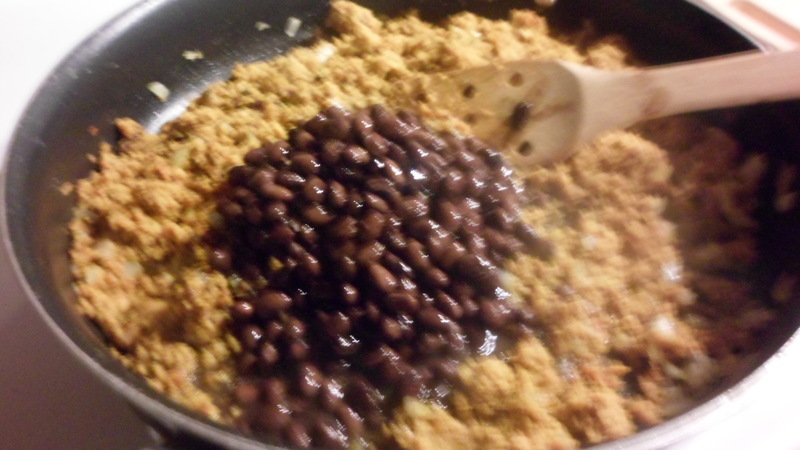 Combine corn, beans and onion. Toss with dressing. Refrigerate at least overnight. In the morning, stir in the cooked brown rice. Refrigerate for the day. I served this with some chicken and a salad bar. 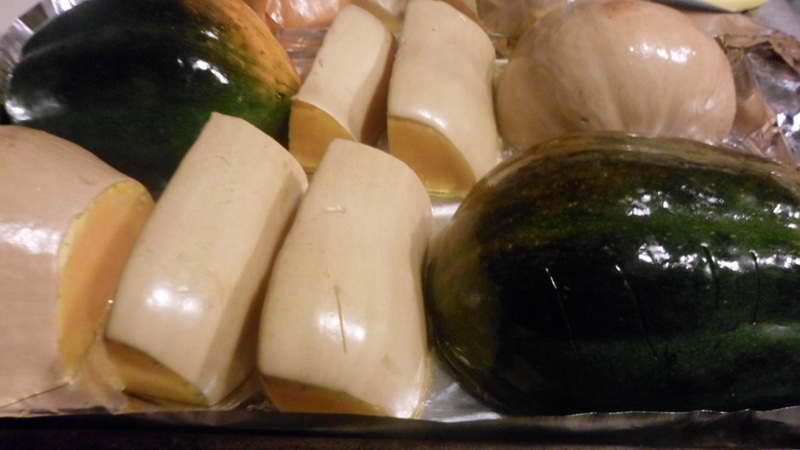 Preheat oven to 375 F. Cut squash and place on a baking sheet drizzled with olive oil cut side down. Roast about 30-40 minutes until fork will go in easily. This needs to be done enough ahead of time for the squash to cool so you can cut it up in cubes. I will do it a day or two ahead next time. Meanwhile, place olive oil blend in a skillet. 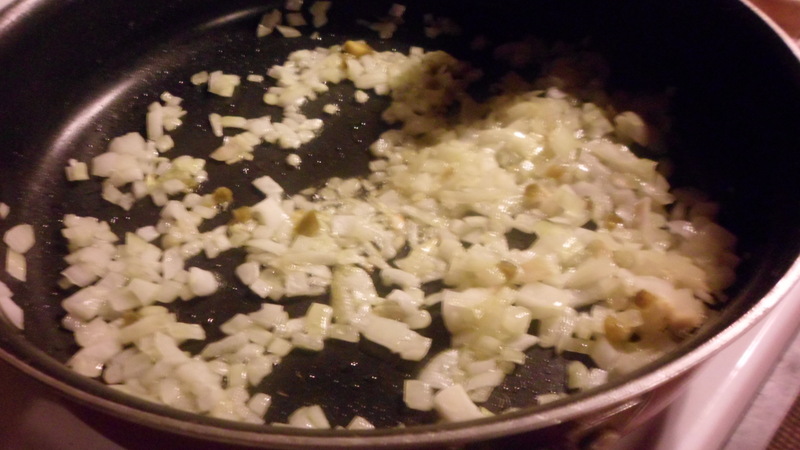 Add onion, jalapeno, garlic and sausage. Cook until veggies are softened. 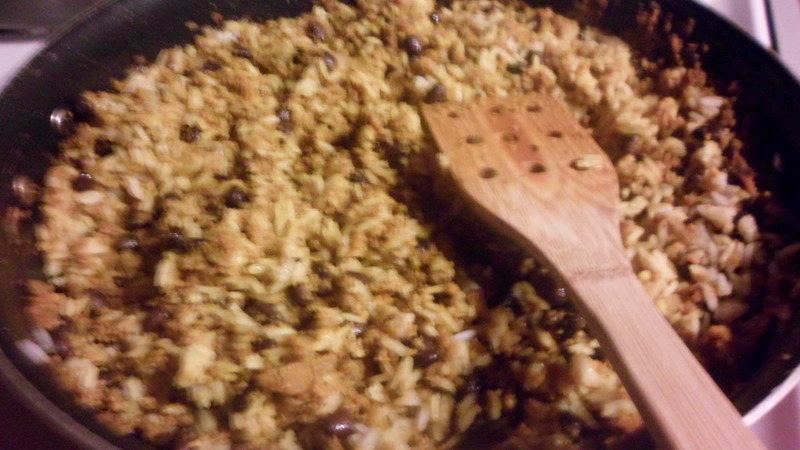 Stir in paprika, cooked rice, and black beans. Let warm through. Add salt and pepper and cilantro. 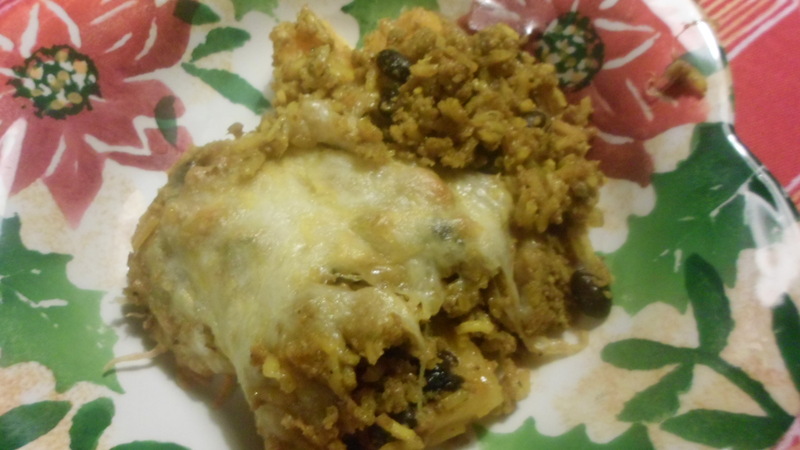 Place squash in bottom of lasagna pan. 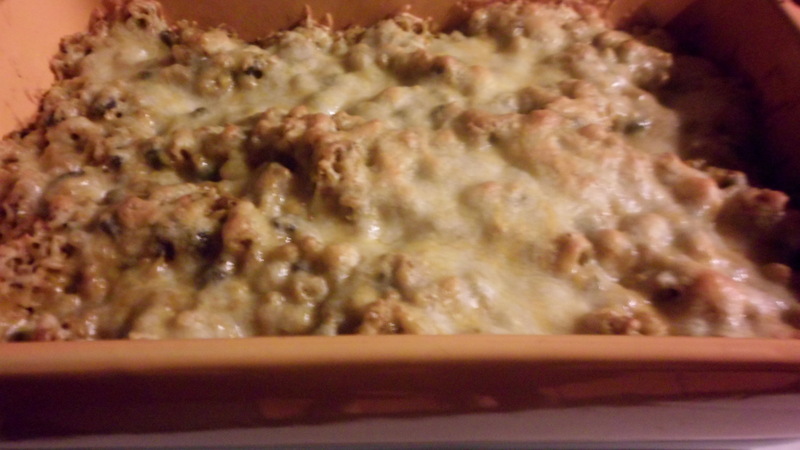 Spoon sausage mixture over squash Top with cheese. Bake at 375 until cheese melts, 20 minutes or so. This recipe was a HIT!!! We will definitely have it again!